The messaging system used by banks across the world hires two outside cyber security firms to reinforce its in-house expertise. 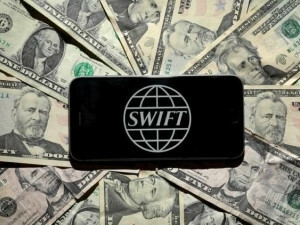 SWIFT's network is a pipeline for transferring funds and the backbone of international finance. SWIFT, a messaging system used by banks across the world, yesterday announced further steps to bolster its defences against hackers, after criminals sent fraudulent payment instructions across its network. The Society for Worldwide Interbank Financial Telecommunication said it has hired two outside cyber security firms, BAE Systems and Fox-IT, to reinforce its in-house expertise, and has set up a team to share cyber defence "best practice" among its customers. On Monday, it announced it was also setting up a Forensics and Customer Security Intelligence team to investigate security incidents at customers. SWIFT CTO Craig Young said information from banks that have been subject to fraud attempts was crucial to identifying new malware. "In addition, SWIFT has published an inventory containing some of the specific malware used in reported attacks, as well as indicators of compromise that SWIFT has developed to assist other customers in detecting threats operating in their environments," the company said.